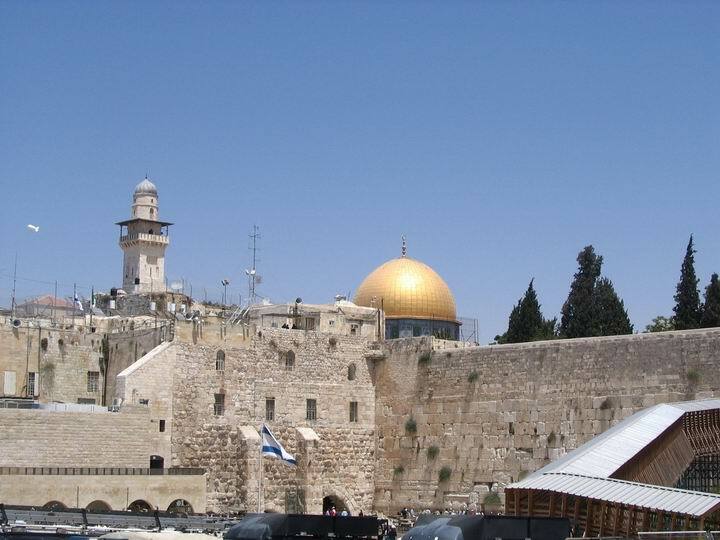 This page presents news from the Holy City of Jerusalem, which relate to the ancient sites. This page provides news about the ancient sites in Jerusalem. There is always something happening in the Holy city, either in new archaeological findings, or in new political frictions in the city. 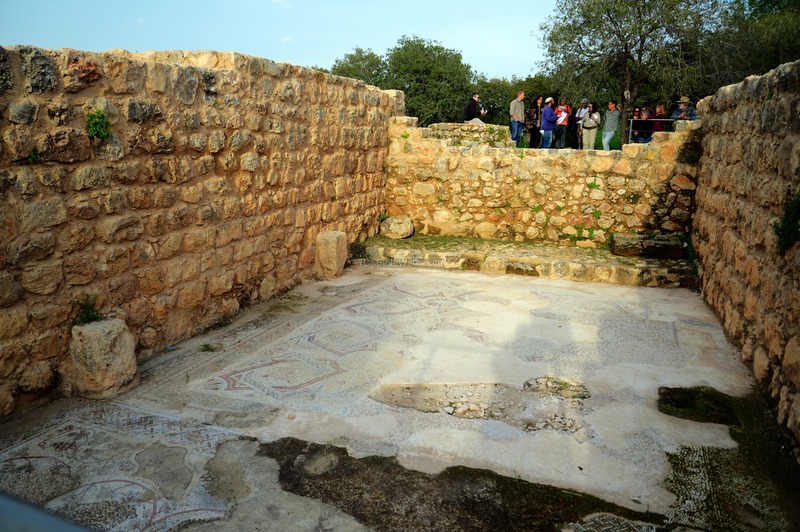 A conservation project restored the mosaic floor and winepress installations n Horvat Hanut, on the side of the Roman period Caesar's way to Jerusalem. Check the review of Horvat Hanut. Pontius Pilate ring found in Herodion. The ring was uncovered 50 years ago but a new study of the inscription identified it as the ring of the famous governor. IAA news: "A collection of seals (bullae) from the late First Temple period, discovered in the City of David excavations, shed light on the bureaucracy and officials of ancient Jerusalem ". Jerusalem celebrates 50 years as a unified capital city. A new discovery was made in the Ophel excavations: a bulla of King Hezekiah of Judah. The clay seal is stamped with Hezekiah's name. Watch this video, courtesy of Dr. Eilat Mazar. 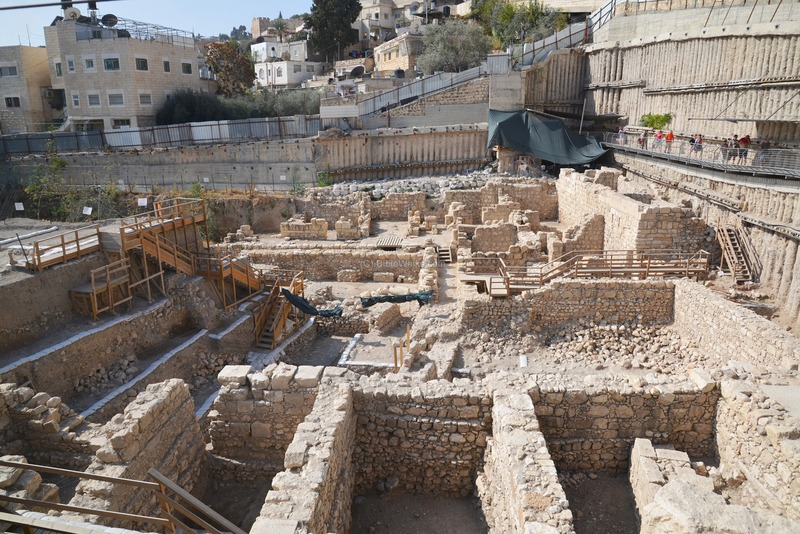 Archaeologists unearth possible Greek Acra fortress remains in the Giv'ati parking excavations near the City of David. 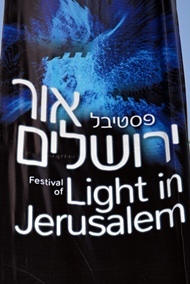 Amazing Light & Sound show held in June 2014 in the old city of Jerusalem. See highlights of the show here. Sections of the large Crusaders hospital (15 Dunam/ 1.5 hectares ) were excavated in Muristan area, as part of a reconstruction work of the fruit and vegetable market which once occupied the old structure. The excavators reported that "Its construction is characterized by massive pillars and ribbed vaults and it stands more than six meters high". See the Muristan web page for more info and links. A unique exhibition is shown in the Israel museum in Jerusalem, titled "The King's final journey". The exhibition centers on the findings of the burial site of Herod the Great in Herodion. 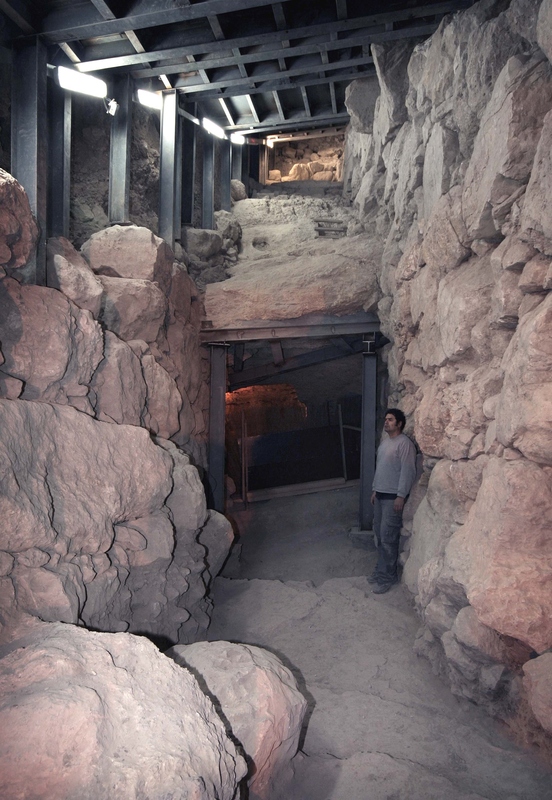 In 2007 the late archeologist Ehud Netzer announced the discovery of the royal tomb of Herod, which he discovered in a monumental building on the north-eastern foothills of Herodion. This discovery made large worldwide headlines (reported here on May 9), as King Herod was one of the most influential figures in the history of the Holy Land. The exhibition presents the amazing findings from the burial site, reconstructs the monumental burial chamber and palace halls, and summarizes the life of the great builder king. For a gallery tour, check this link. Be sure to visit the exhibition before it closes on Nov 2013. Roman bathhouse of the 10th Legion was discovered in the Jewish Quarter. A spectacular light show in the old city of Jerusalem. Check IAA's presentation of "City of David" - water works, presented by Prof Ronny Reich. Archaeologists in the City of David, Jerusalem, discovered a 79 foot section of the 17th C BC city, constructed 7 centuries before King David conquered the city and made it his capital. The massive 26 (!) 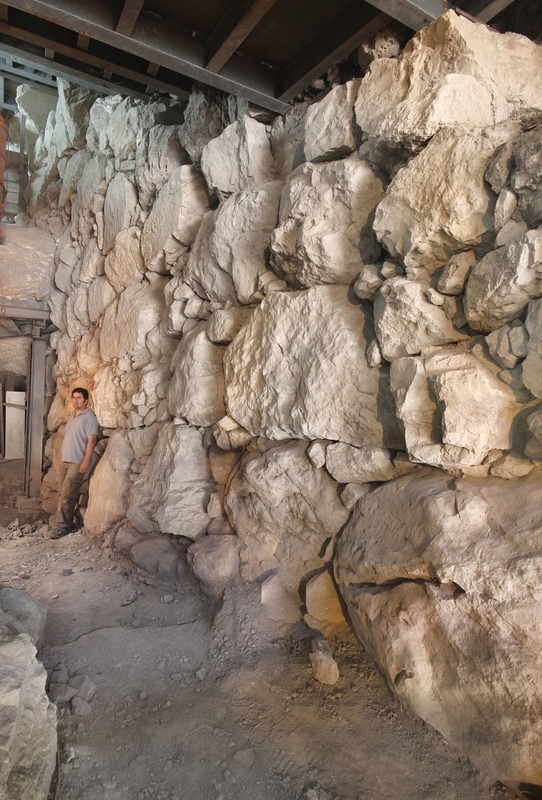 foot high wall was excavated by a team headed by Prof. Ronny Reich of the University of Haifa. It may have protected the walkway from the eastern slopes of the city to the Gihon spring down in the Kidron valley. The Middle Bronze period walls are from the time of the meeting of Abraham with the King of Salem (Genesis 14, 18-20): "And Melchizedek king of Salem brought forth bread and wine: and he was the priest of the most high God.. And he blessed him, and said, Blessed be Abram of the most high God, possessor of heaven and earth. And blessed be the most high God, which hath delivered thine enemies into thy hand. And he gave him tithes of all". This wall made the Canaanite city (named Salem/Shalem) very well protected. Years later, during the 13th C conquest of Canaan, the Israelites could not conquer the city due to these walls. As per the Bible (1 Judges 21): "And the children of Benjamin did not drive out the Jebusites that inhabited Jerusalem". King David finally captured the city at about 1,000 BC (2 Samuel 5): "Nevertheless David took the strong hold of Zion: the same is the city of David". More details in the IAA news item. Pope Benedict XVI is visiting the Holy Land and Jerusalem sites in May 2009. A rare Hebrew seal dated to the 7th C BC was discovered in the excavations near the western wall. The southern walls from the second temple period, built by the Hasmonean Kings in the second or first C BC, were excavated in the Mount Zion excavations. These walls were destroyed during the great revolt. A Byzantine wall was built over it. This exciting finding adds more information on the size and location of the city during this period. Check IAA press release for more information. June 25, 2008: New bridge - "David's harp"
See page on the new landmark - the bridge of strings which resembles King David's harp. 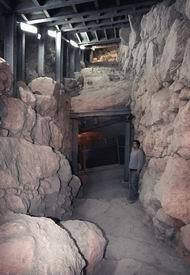 May 8, 2007: Herod's grave found in Herodion? According to Yedioth Ahronot newspaper, archeologists from the Hebrew university in Jerusalem will disclose today details on the finding of the grave of Herod the Great in Herodion (Herodium). Herod, the great King and builder of Israel and the 2nd temple, was buried in the Herodion fortress - according to the Roman-era historian Josephus Flavius. The king's grave was never found to date in spite of many years of excavations on the site, and the team, headed by Prof Nezer, rereveal the details on the findings. A documentary film claims that the tomb of Jesus and his family was discovered in a burial cave in Talpioth, Jerusalem, in 1980. Six of the ten stone bone boxes bear the engravings of the names of the Holy family: Jesua son of Joseph (Jesus); Mary (his mother); Mary (Magdalena); Matti (Matthew), Jofa (Jesus brother); and Judah son of Jesua. Another bone box (of James, brother of Jesus), may have been stolen from the cave in 1980, and the film suggested that it could have been the bone box that was found in the possession of a collector in 2002. The film tells about the story and their research on the findings. The burial cave, one of about 1,000 around the old city of Jerusalem, was sealed while building one of the residential buildings. The stone coffins are under the care the Israeli Antiquities Authority. The engraved names are common Jewish names from 2,000 years ago, but the probability of all 6 names showing up in the same burial cave makes the connection to the Holy family very strong, as per the film producers (James Cameron and others). This story sends shockwaves in the Christian world, similar to the heated debates around Da-Vinci code. Links: BBC, The Register, Ynet, Network2 (Hebrew video). Article: map of the tombs, the bone boxes, and the statistical basis for the claim. This is a developing story - see prior news item below. An article by Yuval Baruch, an Archaeologist from the Jerusalem district, writes about a Muslim prayer room that was found under the rubble of the ramp that collapsed in the winter of 2004. This chamber was probably part of a religious Muslim school that was located in this section before it was removed in 1967 to clear the area of the western wall. This fact was kept secret, but now does not help to calm down the heated debates. The salvation works continue in this area amid continued friction. The Israeli Antiquities authority, who conducts these works, installed webcams to show that this work is not affecting the Mosques on the temple mount. Link of the article: "The real story"
Live Video Link: See a live video from the digs at the Israeli Antiquities authority web site. Prof Joseph Patrich identifies the location of the Jewish 2nd temple at a location which is outside of the Dome of Rock. This research is based on the location of a large cistern which is located south-east to the mosque on the temple mount. According to his research, the cistern (4.5M wide and 54 M long) was part of Herod's temple complex, and used - according to the Mishna - in the religious rituals of the temple. Since it is the only large cistern found in that area, therefore it places the temple at the area around it, outside of the Dome of the Rock, and in a more south-eastern angle. The timing of this publication of this research adds more tension to the already heated situation of the Mugrabim gate reconstruction (see below), and the Muslim side considers this as another threat to their control over the temple mount. Works conducted on the south side of the Western wall ignited riots by Arabs that fear the works will damage their mosques on the temple mount. The initial work is conducted and supervised by the Israel Antiquities department, as part of a reconstruction of the ramp that leads from the western wall to the temple mount (through a gate called "Mugrabim"). This makeshift ramp and wooden bridge, seen on the right side of the photo, requires reconstruction in order to prevent its continuing collapse, since its temporary foundations are based on a soil rampart, which was damaged by a heavy storm in 2004. The riots included friction with the police, stone throwing by youths, and harsh statements from Arab leaders. This might escalate and engulf the whole city in flames, like the year 2000 riots. Their concern is groundless, since all works are done outside of the temple mount compound, but religious wars can be sparked even with petty reasons. The Mugrabim ramp is seen on the right side. The Golden cape of the Dome of the Rock Mosque is seen behind the walls of the temple mount. Etymology: The Mugrabim gate is called after the north-African Arabs, who lived in the western wall area before they were relocated in 1967 to make room for the Western Wall square. The gate is on the south side of the temple mount, and is called also the western gate. It is 2.2M wide and 3.8M high. Also called the Western gate. Excavations in the City of David, south to the old city, revealed a wide street which lead to Herod's temple mount. This road is an extension to the section excavated in the southern wall. The archaeologists unearthed 30M of the Herodian road, part of 600M that led from the Shiloach pool up to the temple mount. The findings are from the time of the Roman destruction (66-73AD). The excavations continue and the target is to reveal the whole length of this road, up to the section near the southern wall. The excavations are conducted near the Shiloach pool by Prof. Eli Shukrun (Israel Antiquities) and Prof. Ronnie Reich (Univ. Haifa). According to them, this is one of the most important findings in recent years in Jerusalem, and sheds light on the history of the city.